Το προϊόν περιλαμβάνει rackmount kit! 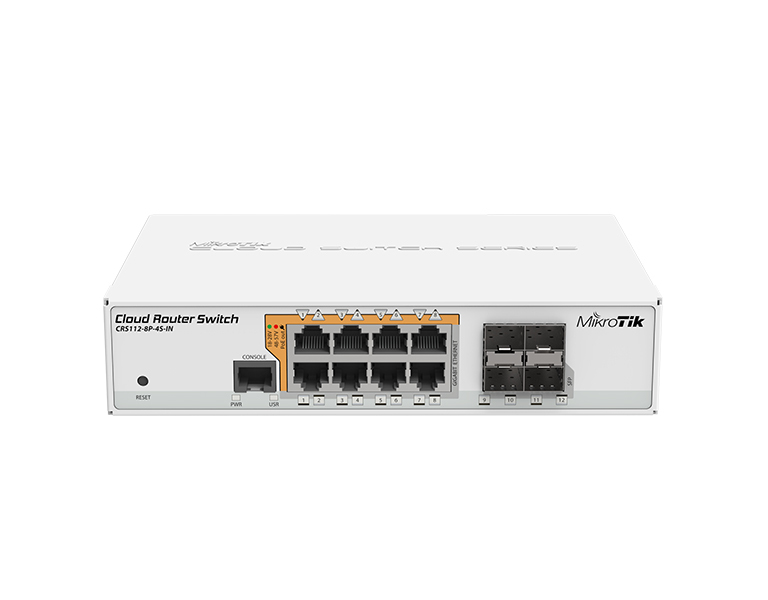 CRS112-8P-4S-IN is equipped with 12 independent switching ports. 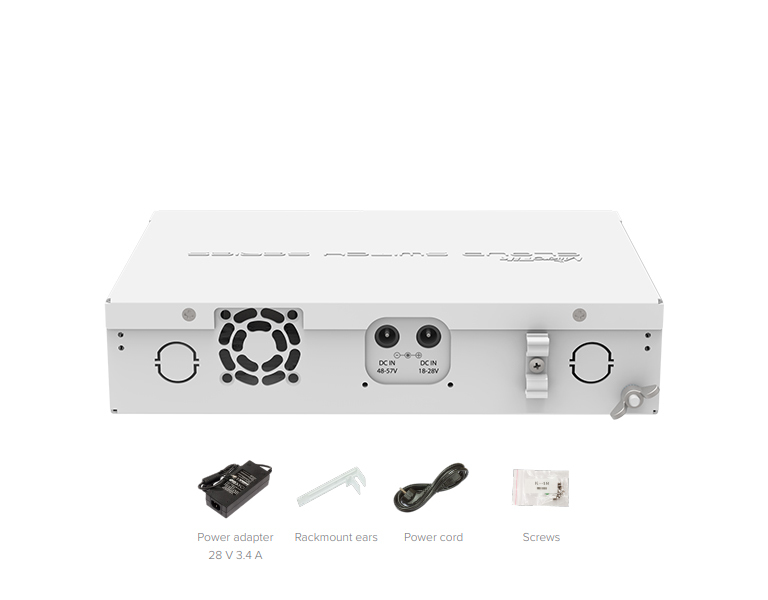 28V 3.4A power supply is already included in the box. 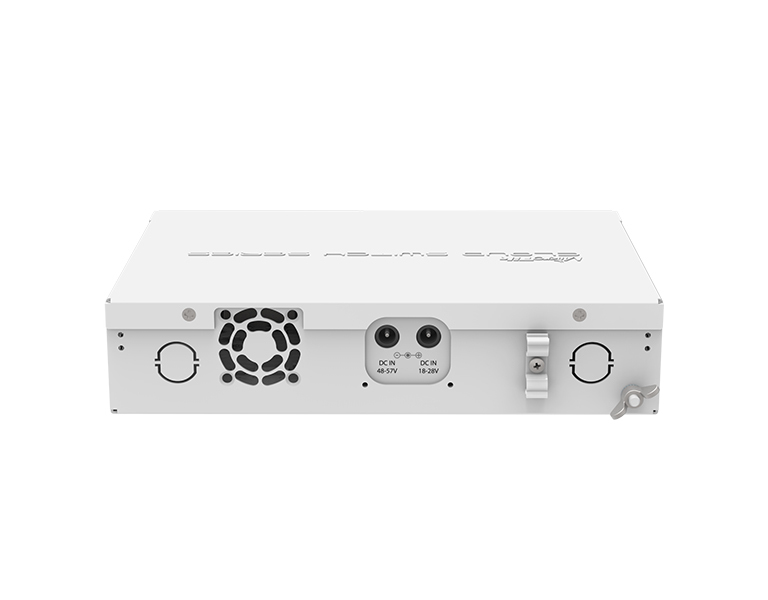 There is secondary DC jack on the back of the enclosure that supports 48-57V power supply (not included, can be purchased separately). 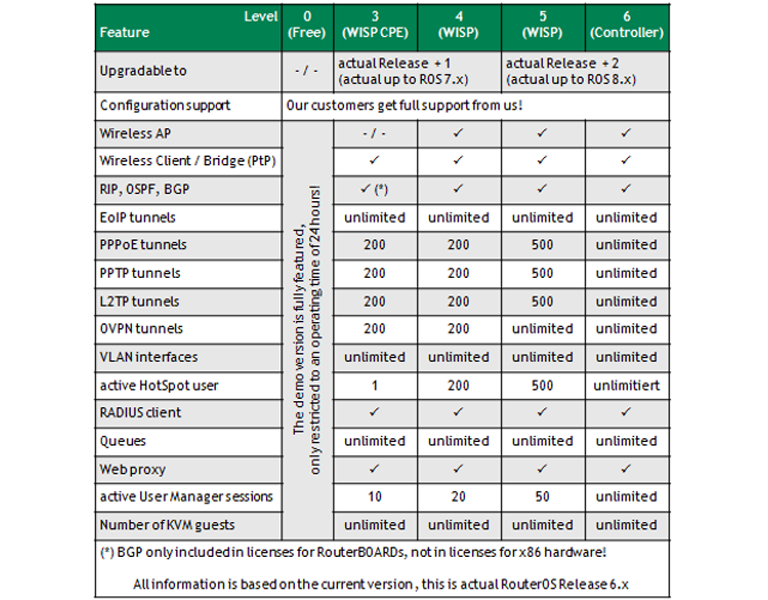 CRS112-8P-4S-IN can power 802.3af/at devices if 48-57V DC input is used (unit will automatically detect and provide correct power to devices). Max current is 1A per port if input voltage is 18-28V, 450mA if 48-57V. Total limit is 2.8A@24V and 1.4A@48-57V.